Catherine Midgley set up her business, Insights Development in 2003; this business has now been rebranded as The Positive Approach. The Positive Approach is based in Nottingham and works with local organisations, providing ongoing coaching, mindfulness at work and development workshops to executives, leaders and professionals to help them be at their best more often at work. Catherine also works as an associate to other organisations, providing coaching and development to individuals and teams throughout the UK and abroad. Catherine is an engaging coach and workshop leader, designing and using creative approaches to enable individuals and groups to work more thoughtfully and effectively to achieve higher levels of performance. Her working philosophy is to understand perspectives and issues of her clients and offer insights, practical tools and techniques to facilitate their own thinking and development. After completing a BA (Hons) in Management Studies and French, Catherine started her career in retailing, spending 10 years in buying and product management, where she developed and managed product ranges and teams responsible for multi-million pounds of sales and profits. Catherine then changed direction and moved into training and development consultancy within a large retailer for 7 years and then set up her own business in 2003. 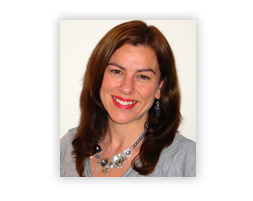 Catherine has since worked with a variety of clients in the public and private sector, organisations large and small. Catherine is insightful, caring, challenging, enthusiastic and focused on achieving both practical and inspirational outcomes that have a profound and lasting impact.